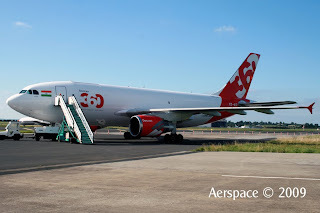 Deccan 360 also known as Deccan Cargo and Express Logistics is a cargo airline based in Bangalore city India. Deccan 360 began operations in November 2009, the company was been set up by Capt. G.R. Gopinath, former owner of Air Deccan, which he sold to Kingfisher Airlines. Deccan 360 has suspended operations since May 2011. It is now undergoing the process of being restructered serving fewer routes with smaller fleet.